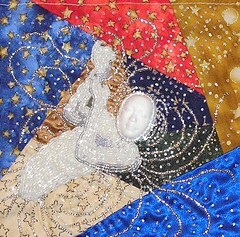 I am in a round robin at CQI (Crazy Quilting International). This particular rr, focus' on faces. 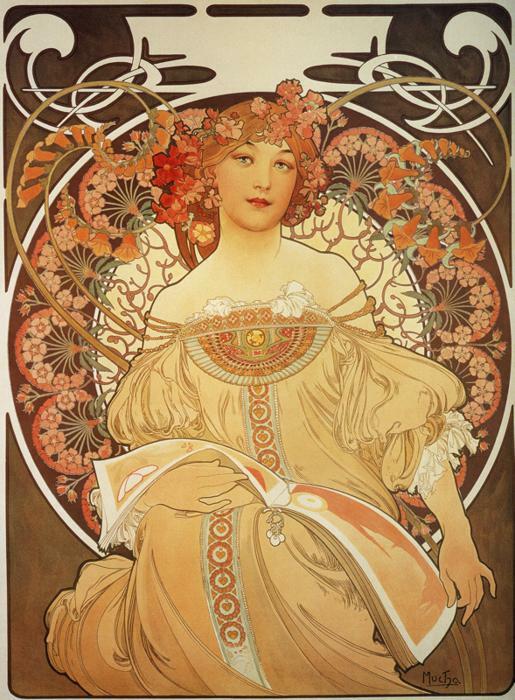 Diane likes art noveau so I googled and found the artist Mucha who does some phenomenal work! I choose this particular image and here is how she translated for me! A good friend of mine that lives in Maine as several boys. One of them, Todd is married to Melissa. 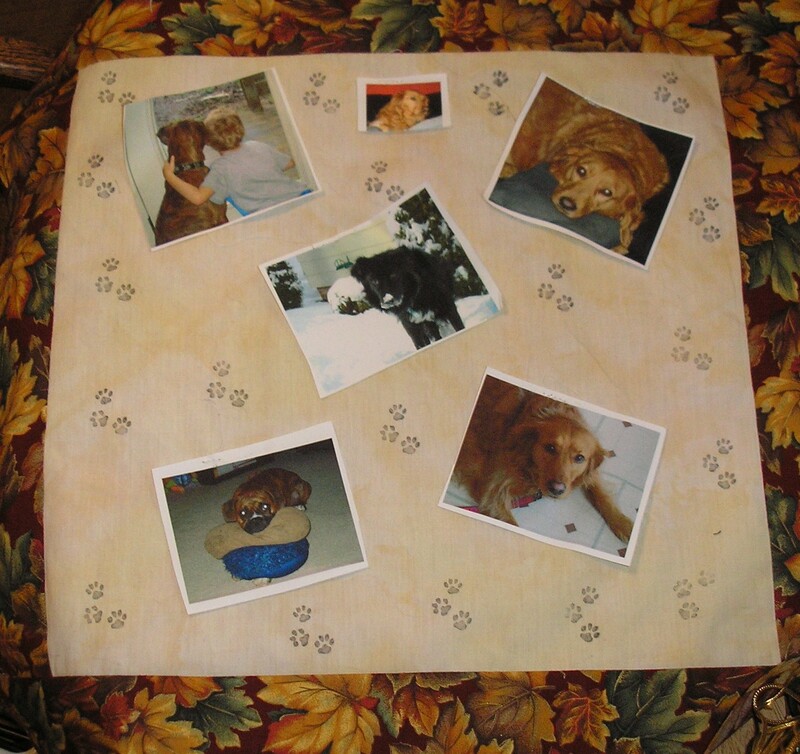 Just after Debbie returned to Maine from the CQI retreat here in Colorado, Todd and Melissa's home burned down taking their two fur babies as well. At CQI we decided to shower them with special handmade ornaments for Christmas. I made two ornies..... one of each fur baby and am also working on two small wall hangings for them. 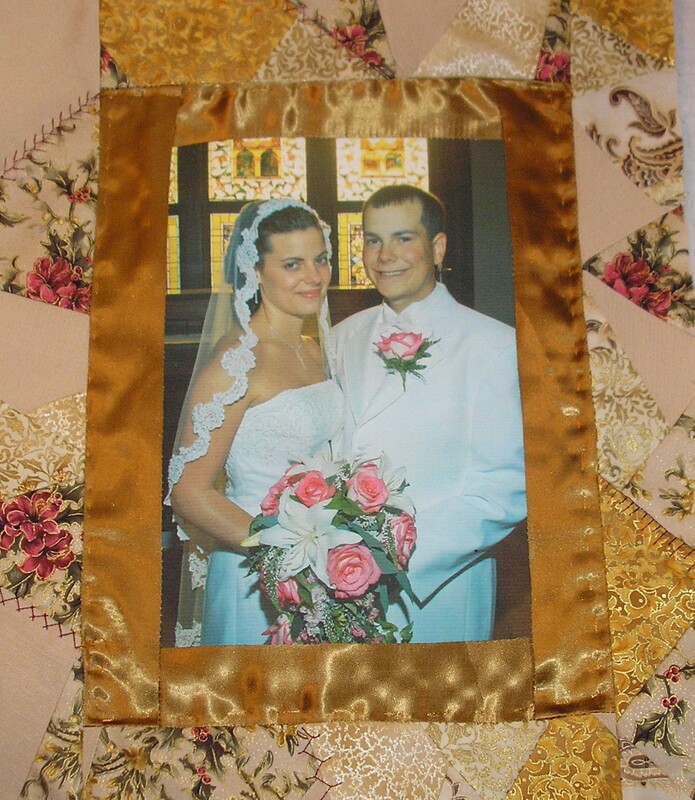 One is a wedding pic printed on cotton which I will bead. I framed it in CQ and will embellish it. The second one is a few special pics of all the fur kiddos they have had. I am stitching the "silkies" of them down to a batik background I have stamped with paw prints. 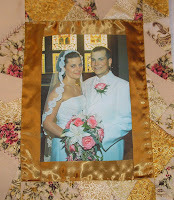 I will then bead or trim up around each picture and quilt the rest. Got a little ways to go, but wanted to share this project. Tis close to my heart. 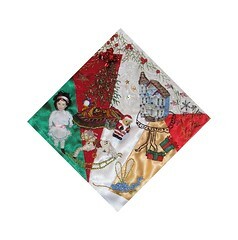 This is one of the wedges of a wonderful tree skirt that Kerry was sending around for the Christmas RR we are in together! I tried my hand at waste cloth with the stars....think I need some schooling in that department! LOL!! MUCH easier to free hand embroider! 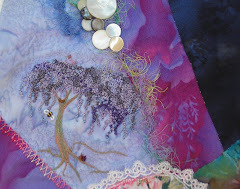 Anyway, I tried to keep my stitching more elegant and subtle in this in keeping with the feel of the block! I hope you like it Kerry! 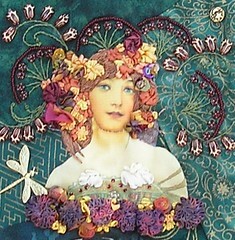 I have just finished up my "angel stitching" for RoseAnne on her block! She askedfor celestial beings, soI gave her the goddess of light! Tis alllll beaded and very sparkley! Hope you enjoy her, Rose Anne! 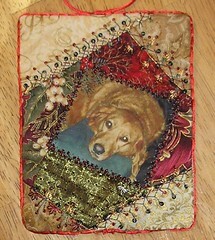 This is a block I finished for Debbie Q in our Faces DYB rr. She loves doll, victorian ephemera so I crated a doll house for her, a rocking horse for the doll, a teddy and a special dragonfly pull toy... a special touch for her daughter in law! VBG! Enjoy! 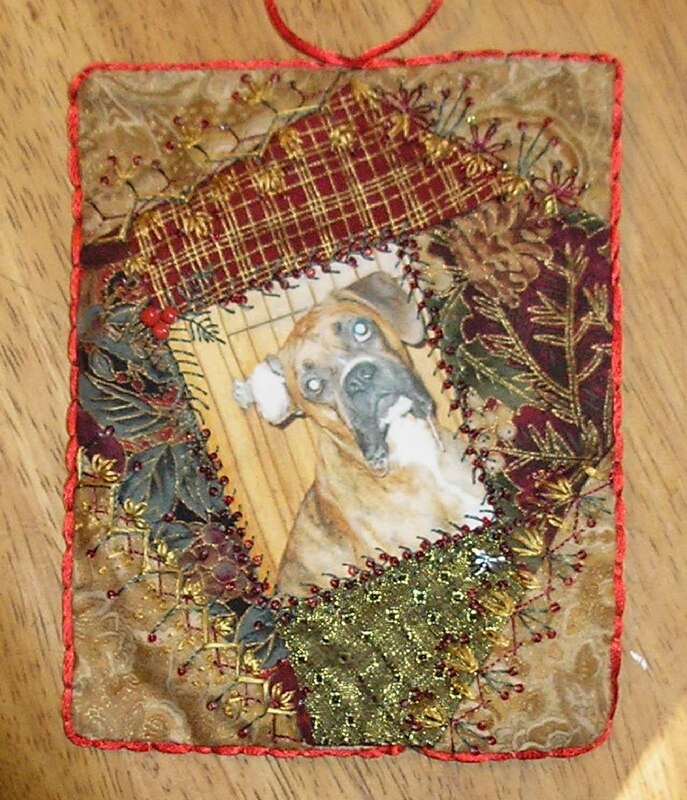 I am starting another round robin with CQI (Crazy Quilting International). This one is wool! I'm am asking for primarily seam treatments, no beading or buttons, etc. 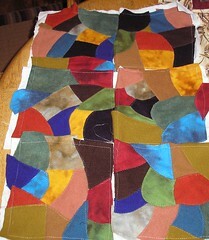 as this will be a utilitarian quilt when done. I'm leaving the jagged edges as I will incorporate those patches into the next block to create a whole cloth effect! This will be a fun rr I think! Can't wait!